Wouldn’t that be nice? No more missing days of work, school, or life in general. There is no cure for the common cold so far but as most of us know there are treatments for it. Getting rest, drinking fluids, and washing your hands help limit it spreading to others. Most of the info I found about antibiotics and antivirals say that neither have an effect against the common cold. Definitely fooled me for all these years. The link also says that healthy people tend to not get the cold as much as non-healthy people. Kind of makes sense even without getting all scientific. I’ve been working out on average 4 days a week for the past 6 years. During the first 3 years I would still get the occasional cold or sinus infection. In the past 3 years I can’t remember getting a cold once. I did get some crazy 24 hour bug thing twice but that was not the common cold. I’m going more along the lines of coughing, sneezing, runny nose type of symptoms. I truly believe the reason why I’m not getting the same amount of colds as I used to is because of Shakeology. Shakeology is not the cure to the common cold as I know people who still get them while using it. Many do say that they don’t get them as much though. My best guess is because of all the nutrition that’s involved with Shakeology. The link at the top says that studies show Vitamin C to not really have an effect on curing the common cold. This got me thinking into what does stop the common cold. 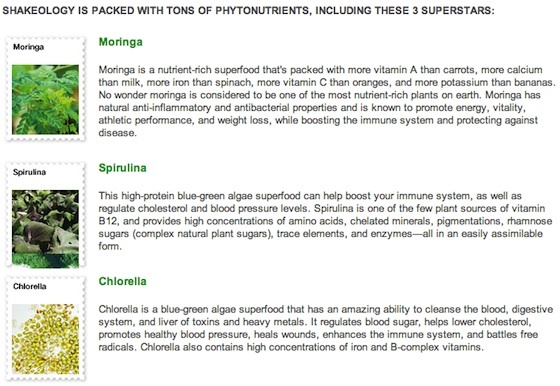 The best I could find is from being healthy and having a strong immune system. And then if there is anything in Shakeology that helps build up your immune system. Turns out there is. These are nutrients in foods that slow down the oxidation of our bodies. They also protect us from free radical damage and help the body’s natural response to inflammation. These promote a strong immune system, slow down aging, help detoxify the body, and are the nutrients believed to be necessary to sustaining human life. Sounds like they are kind of a big deal. These bad boys increase energy, protect the body from stress (don’t we always get a cold when we’re stressed), help balance endocrine hormones, and promote a strong immune system. Sounds like they do a lot of work. 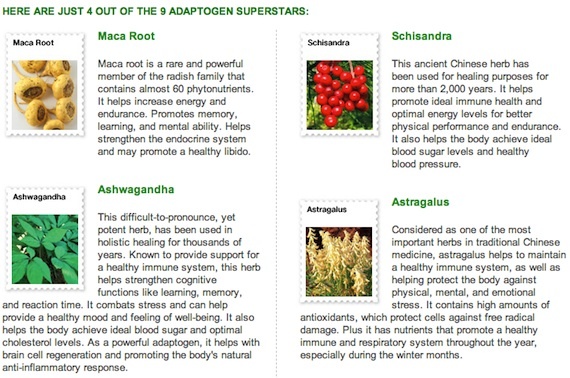 Beachbody says there are 9 Adaptogens in Shakeology which are more than any other shake out there. Shakeology does not cure the common cold but it will give it one hell of a fight. These are just some of the 70+ ingredients that are in Shakeology. Don’t some of them sound kind of angry? Like, your glad they are on your side. The trick is that you have to use it everyday. Like everyday. Not somedays. Not once in a while. Everyday. Beyond helping fight the common cold, Shakeology will do so much more only if you let it. If your sick and tired – no pun intended – of being sick and tired from the common cold then go try out a sample pack of Shakeology. I’ve been using Shakeology daily for seven years and think its at least helping keep colds away which says a lot since I live in Michigan where its cold half the year. I completely agree with this blog! I have been drinking Shakeology for about a year and a half now and would never willingly give it up! I am not one that gets sick often but when I do, I reach for and extra helping of Shakeology! I don’t use Shakeology mainly because of how expensive it is (don’t have $130 a month extra to spend) but what I can tell you is that diet is key. I am an 80% raw vegan (no animal products at all with diet) and I have not been sick in 2 years! I eat a TON of fruits and vegetables – mainly dark green leafy ones – and have had more energy and less sickness than I have in my entire life. I know Shakeology does have a lot of vitamins in it and I would love to try a sample (vegan) but I know that I’m getting just as much goodness from whole foods than I would with Shakeology. If you were to buy all the ingredients separately in Shakeology it would cost over $400. It may seem expensive at $130 but once you compare apples to apples the numbers show that Beachbody has priced Shakeology fairly. Yes – you don’t need Shakeology if you are 100% spot on with what you put in your body. But let’s be honest, how many people are like that? Maybe 1% of the population. Shakeology is the simple, quick, easy, and affordable way to assure that you are putting the right nutrition in your body.